Maybe you want to rent a car for someone as a gift. Or perhaps you run a business and need to rent a car for an employee. Whatever the reason, it’s not as straightforward to rent a car for someone else — using your credit card — as it is to rent a car for yourself, assuming you are of legal age. Technically, no, you can’t book a rental car for someone else; you can’t pay for it with your card and have someone else sign the contract and leave with the car. And for good reason, too. A car is expensive, and the rental car contract is a legal document. The rental car company needs to verify your identification and get your signature to solidify the legal agreement. This keeps clear who is responsible for what. Not only does this protect the rental car company, but it also protects you. If it were easy to rent a car using a credit card that didn’t match your identity, it would be too easy for identity theft. But if you still need to rent a car for someone else, there are some ways around it. While it may not always be possible, here are some ideas that may work for you. If you are related to the other driver, this will be easiest. You will likely need to be present at the check-in counter to sign the document and show your ID, and then you can add the other name on the agreement, if they meet the criteria to rent (such as age and a valid driver’s license). You would still be legally considered the “primary driver” but the other person would be allowed to drive it, too. Note: This means you are still legally responsible for the condition of the car. So make sure you can trust the other driver. Insurance usually treats an accident the same, no matter who was driving it. Make sure you check first, especially if you are using your personal insurance. An additional driver can usually return the car, so you likely won’t need to be present then. Not all rental cars may allow this option, and many charge an additional fee to add another driver on the agreement. Not only may policies vary from company to company, but laws may also vary between states. For example, your spouse is automatically considered an additional driver with no extra fees in some states, like California. Other states, such as New York, have a cap on the fee permitted per additional driver. Give a gift card instead. Instead of messing around with your credit card, buy a gift card to be used with a rental car company and give that to the other driver. This way, you still pay for the rental and you avoid the confusion of having multiple names on the contract. 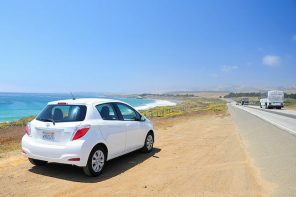 Most major rental car companies offer gift cards and certificates. The downside of this option is the other driver will have to provide his or her credit card to handle any additional charges or fees that may come up. So make sure the gift card is enough money to cover everything, such as pre-paid gas or other options the other driver may incur. 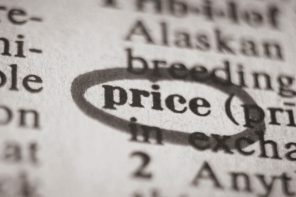 It can be smart to calculate the cost of a “loss damage waiver” (which protects the driver from the cost of damage and other potential additional expenses) onto the cost of a rental car. This varies from about $20 to $30 extra per day. Call the rental car company. If you call the rental car company and explain your situation, they may have other ideas how to handle the situation. Every company is a little different. You never know unless you ask. Make sure you clearly understand the company’s policies before making a choice. For example, an additional driver can be added to Ace rental cars or rentalcars.com even after initially signing the agreement, and with Alamo, you have to add an additional driver at the rental location with both the renter and additional driver present. 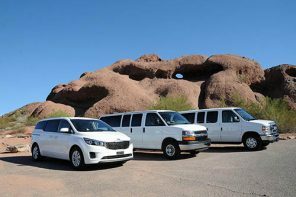 For Enterprise, the fee for an extra driver typically is around $12 per day per driver, unless that driver is a spouse or domestic partner, or a surrogate driver for a person with a disability. There are many different policies, so it’s best to call the company directly. 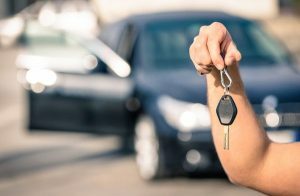 You can book a rental car online for someone else using your card, as long as you enter the other driver’s name and information during the process, according to Hotwire. That being said, when he or she goes to pick up the car, a credit card will be required as a deposit, and that card has to be in the name of the primary driver. That means you better plan on being present. You can’t use a gift card for this deposit. Another thing to remember is your credit card has to have enough credit. Poor credit can affect your chances of renting. If you are a company that wants to allow employees to drive rental cars, consider setting up a business account, if you are eligible. These special accounts bill to a single company credit card. Give your employee a company card to use for the rental and deposit. Not all businesses may be eligible for a business account, but if this is a common issue, it may be worth investigating.